In this mural, you can see the former central fire station on rue Marquette (where the Éva-Senécal library stands today). 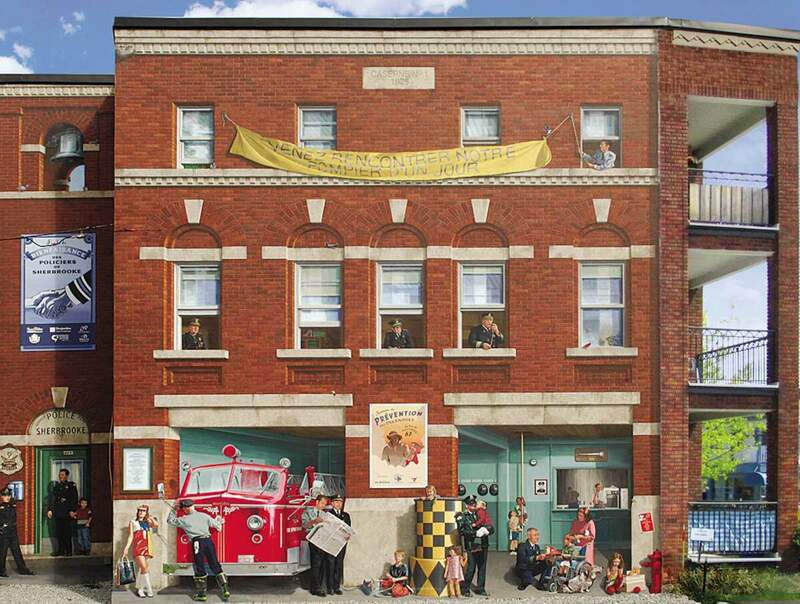 The mural is a tribute to Sherbrooke’s fire and police services. 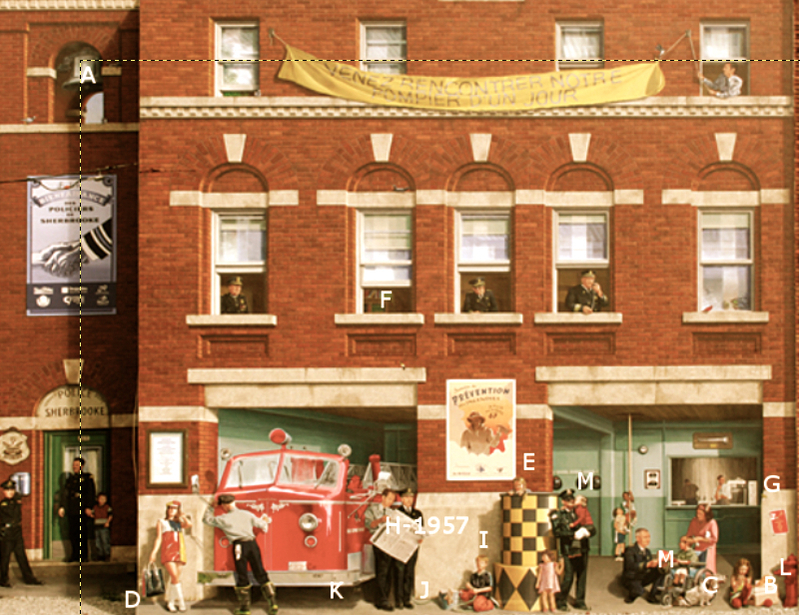 On this beautiful summer day in 1967, the fire station opened its doors during the annual Firefighter for a Day event. It was the year of Expo 67, the same year the Beatles released the album Sgt. Pepper’s Lonely Hearts Club Band. It was also the year of the retirement of Percy Donahue, the director of firefighting services, after 55 years of loyal service to the City of Sherbrooke. The policeman Bertrand Lacasse, illustrated in the mural, directed traffic downtown for many years. Tradition & Prevention - Find and Seek!